University laboratories handle a wide range of chemicals for different courses and experiments. Flammable chemicals carry the risk of fire or explosion. Incorrect chemical storage practices are a common cause of incident. Flammable Chemicals and Refrigerator Storage reported three separate explosions in different university labs. All had the same root cause – storing flammable chemicals in conventional refrigerators. The force of one of the explosions blew the door right off the refrigerator and scattered debris across the floor of the room. 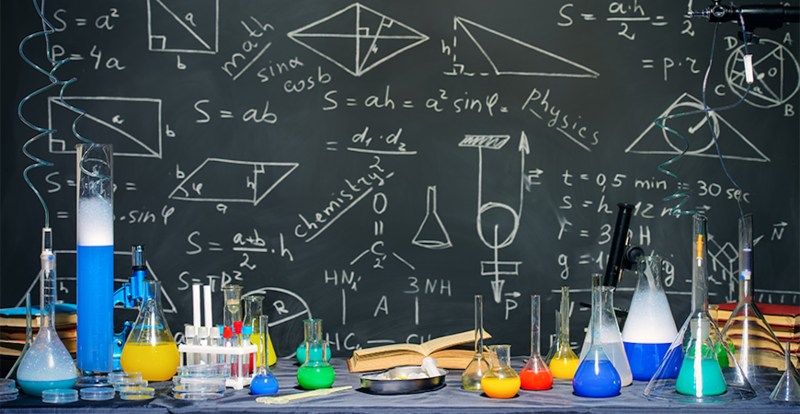 What Chemicals Do Universities Handle and Why Proper Storage is a Necessity? University laboratories commonly use a wide range of flammable chemicals like solvents, as well as corrosive chemicals such as acids and bases. Not all flammables and corrosive liquids are compatible. Mixing non-compatible chemicals may cause a reaction and potential fire, and should never be stored together. The Occupational Safety and Health Administration (OSHA) regulates chemical storage requirements for flammable and combustible materials. Every laboratory generates liquid and solid waste. It is hazardous due to its chemical nature. Liquid chemical waste must be appropriately stored to prevent an incident. Strict regulations govern the management of hazardous waste. The Environmental Protection Agency (EPA) develops and enforces these regulations. In a university context, virgin laboratory chemicals are no longer needed for experiments. Building up unused chemicals in laboratories increases the risk of fire and injury. If possible, transfer them to another lab for use, or dispose of as hazardous waste. Many universities require fertilizers and pesticides to keep their grounds in pristine condition. Both these products are hazardous. A release into the environment contaminates ground water systems. U.S. Chemical Storage supplies chemical storage buildings for university settings. SUPERloc 4-hour fire-rated and FIREloc 2-hour fire-rated chemical storage buildings are FM or Warnock Hersey approved. Both meet the requirements for flammable and combustible materials. Their durability results from their heavy grade steel manufacture. Leak-proof sumps prevent stored product from entering the environment. SUPERloc chemical storage buildings meet the standards for location inside an occupied building. But, check local regulations before installation. FIREloc chemical storage buildings meet the standards for location between 10 and 30 feet from an occupied building. Climate control accessories are available for SUPERloc and FIREloc buildings. Cooling or heating units maintain specific temperatures and reduce the risk of auto-ignition for volatile chemicals. TURFloc storage lockers are non-fire rated chemical storage buildings for fertilizers and pesticides. Made from heavy-duty steel, they feature a durable chemical-resistant epoxy-coated finish. Fertilizers and pesticides are usually stored away from occupied buildings. Therefore, they do not need to be fire-rated. DRUMloc chemical storage buildings are also a compliant, non-fire rated storage option for hazardous drums and other materials. Both TURFloc and DRUMloc buildings provide built-in secondary containment and comply with EPA regulations. Contact U.S. Chemical Storage to learn more about chemical storage buildings for universities. We provide complimentary quotes. Our professional consultants counsel you on the best solution for your application.